On this day, the regiment was ordered to load their equipment onto the steamship John H. Groesbeck in preparation for a trek up the Mississippi and Red Rivers to Alexandria, Louisiana. However, the regiment got to spend one more night in their New Orleans quarters at the cotton press, before their next adventure began. It should be noted that, at this time, most of the troops of the 16th Ohio had only a little over six months left in the service before their terms of enlistment expired. Several notations by the soldiers illude to their excitement at being nearly done with the service and going home. Six months, however, is a very long time as a soldier in war. The specific location where the 16th Ohio was quartered during their short stay in New Orleans after returning from Matagorda Island, Texas, has not yet been determined. It is assumed the regiment actually stayed in the city of New Orleans, whereas, during their Previous stays, they were quartered in Carrollton and Algiers, both suburbs of the City. 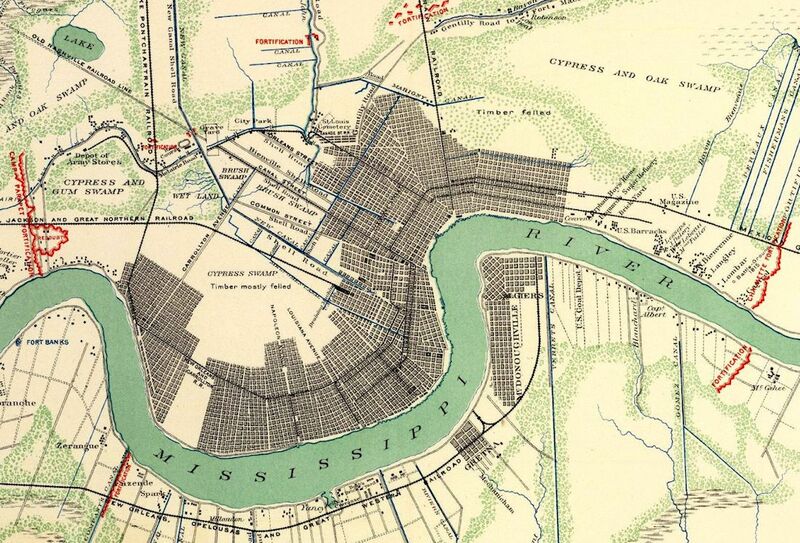 This period military map shows the New Orleans area as it looked in early 1863, the 16th Ohio quartered somewhere in the area, assumed on the north side of the river.